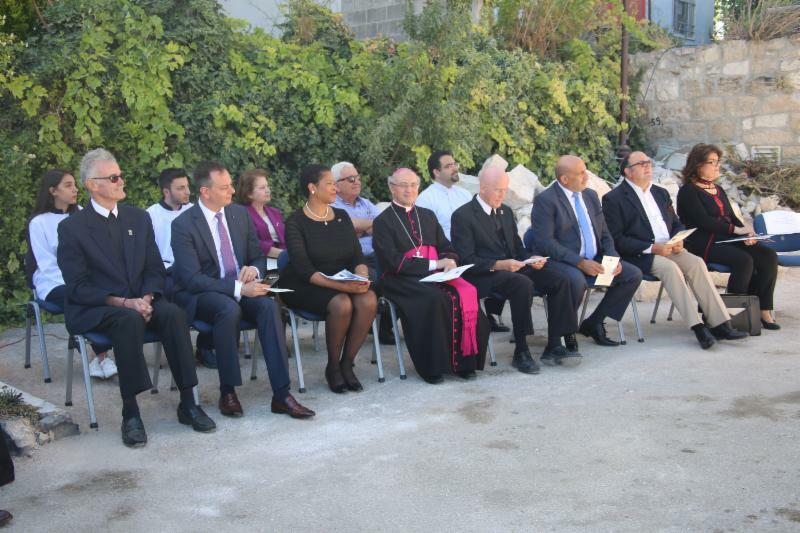 Dignitaries, students, faculty, and staff gathered yesterday to help break ground on the newest building at Bethlehem University, the John Patrick Cardinal Foley Hall. 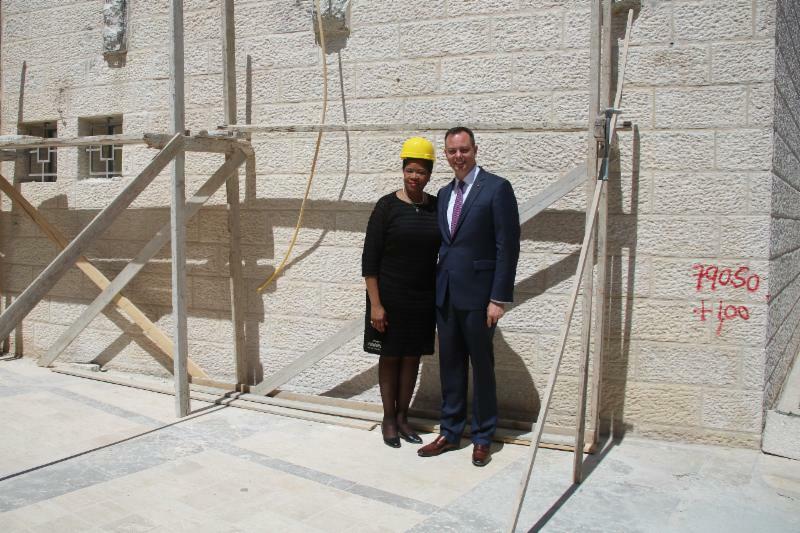 Once completed, the building will house the Faculty of Nursing and Health Sciences at the University. 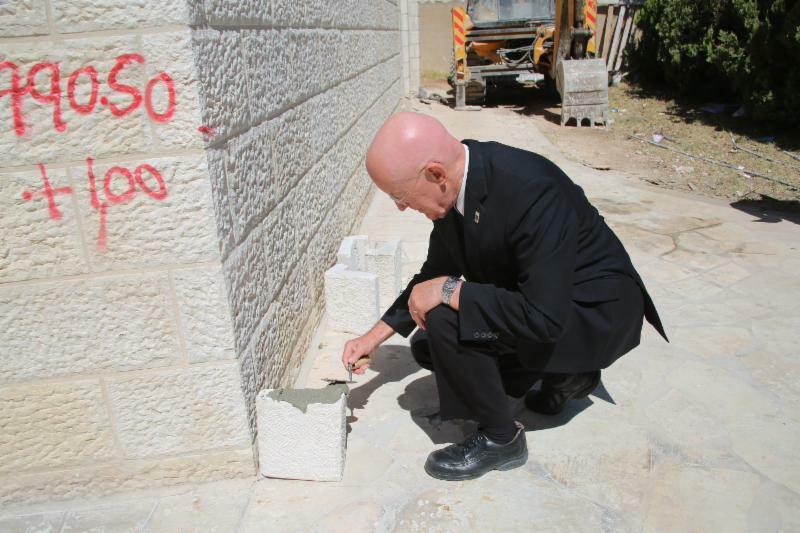 Brother Peter Bray, FSC, Vice Chancellor (President) of Bethlehem University, is shown adding mortar to the first new brick of the new building. 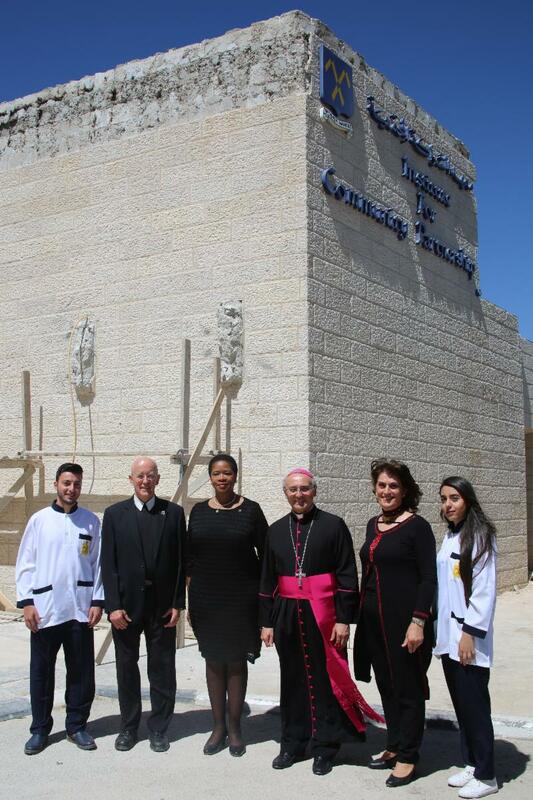 The building is named after His Eminence John Patrick Cardinal Foley, a priest of the Archdiocese of Philadelphia and the late Grand Master of the Equestrian Order of the Holy Sepulchre of Jerusalem. Several members of the Order were present, led by Her Excellency Valencia Yvonne Camp, LGCHS, Lieutenant of the Middle Atlantic Lieutenancy (shown above). 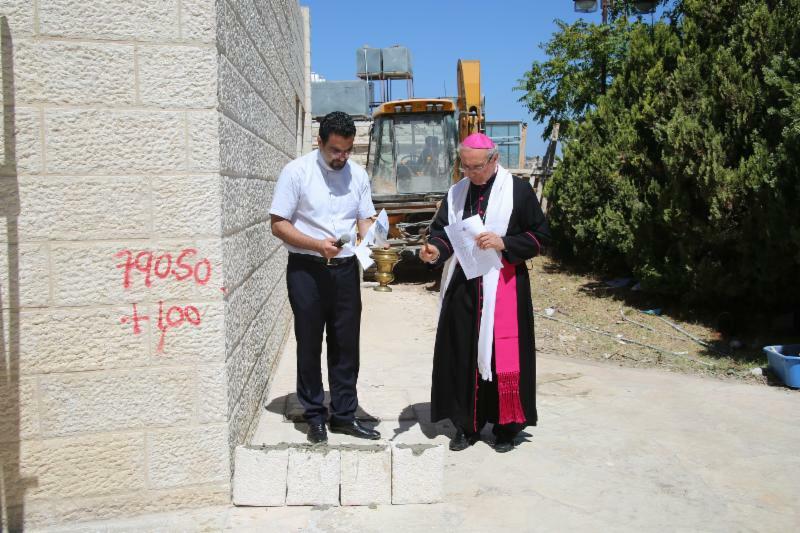 The Lieutenancy made a 1.5 million dollar gift underwriting the project and naming the building after the late Grand Master. The funds are from a bequest to the Lieutenancy from the Estate of Lady Rose Bente Lee. To meet the increased demand for space for the Faculty of Nursing and Health Sciences, among the most popular programs at the University, a decision was made to expand an existing one-floor building constructed in 2001 by adding four additional floors. 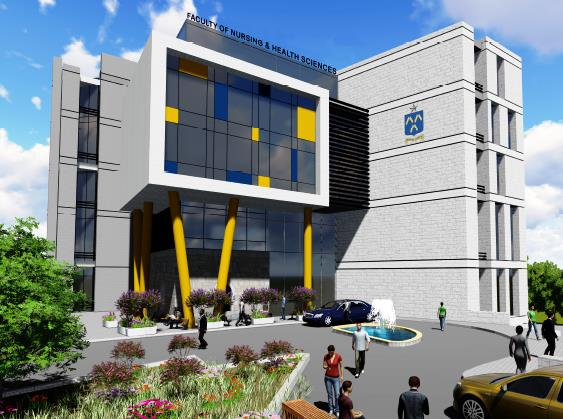 The additional floors will provide adequate space for the Faculty of Nursing and Health Sciences including classrooms, offices, simulation labs, clinical space, meeting rooms, and other facilities. Naming opportunities for rooms and common spaces are available starting at $10,000 per space. Click here to see all available naming opportunities for the new building . Gifts to the Theodore Cardinal McCarrick Endowment provide long-term support to the Faculty of Nursing and Health Sciences. 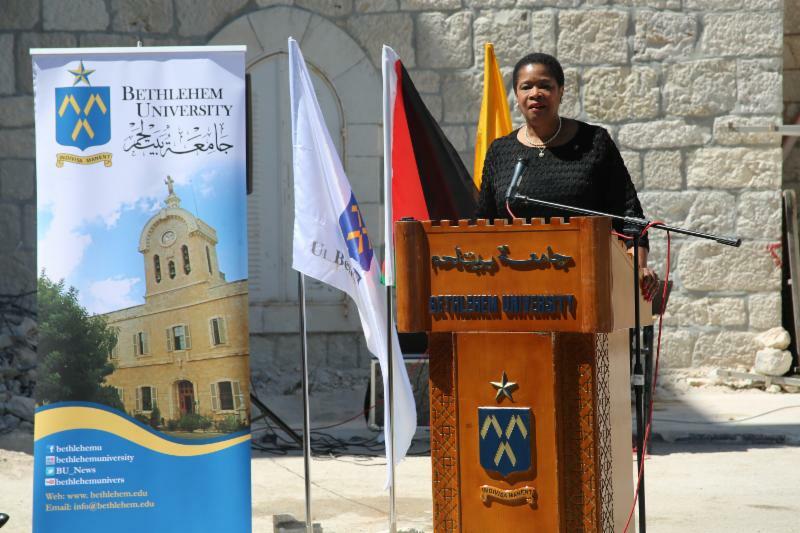 This endowment was established by the Bethlehem University Foundation through the generosity of the Andreas Foundation. 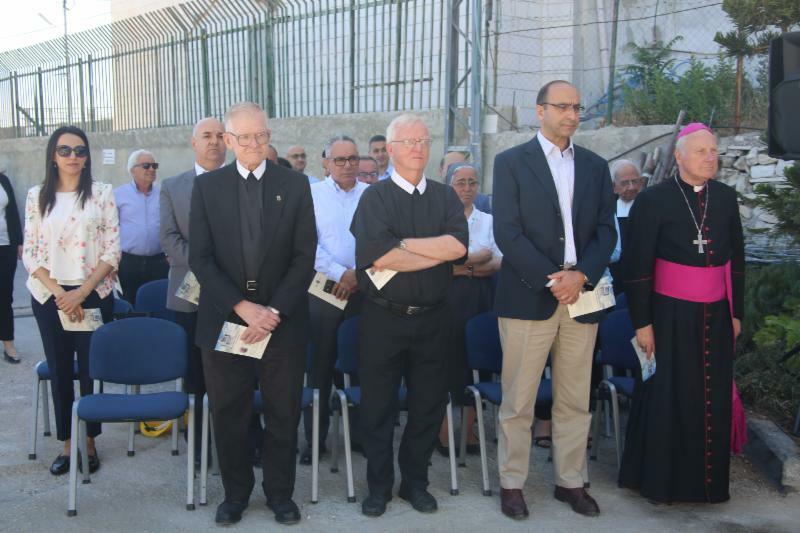 Pictured together (left to right) are nursing student Antony Zoughbi; Brother Peter Bray, FSC; Her Excellency Valencia Yvonne Camp, LGCHS; the Most Reverend Leopoldo Girelli, Apostolic Delegate to Jerusalem and Palestine, and Chancellor of Bethlehem University; Dean Mariam Awad of the Tarik Juffali Faculty of Nursing and Health Sciences; and nursing student Sally Sharaf. 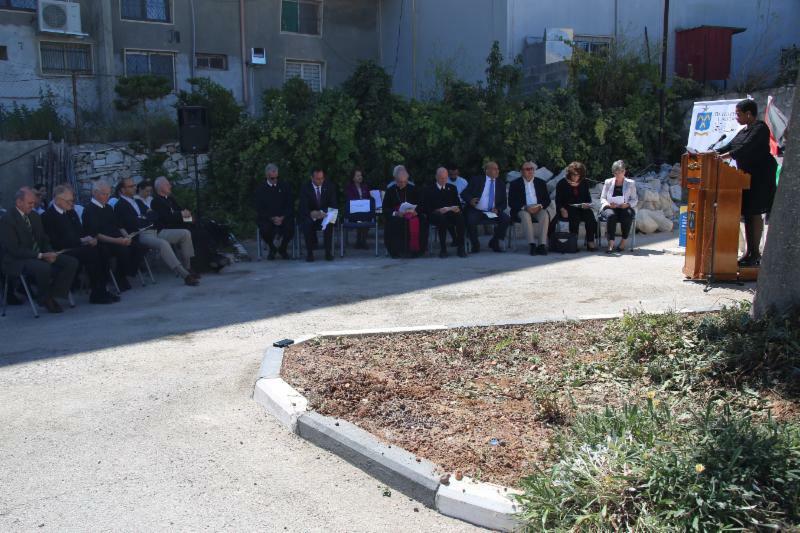 Please click here to view more photos of the groundbreaking ceremony .